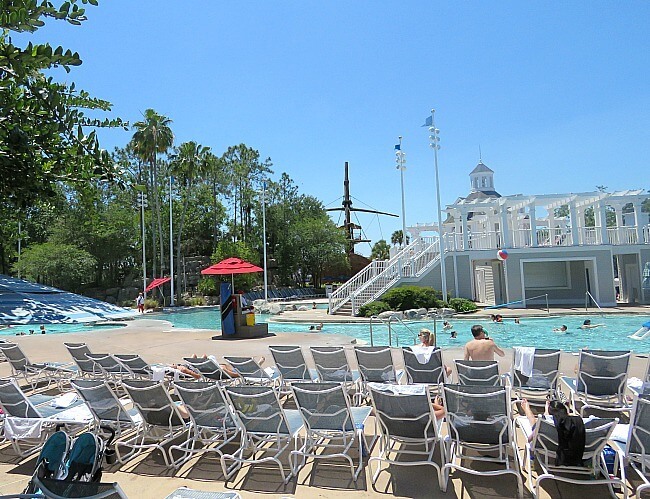 Each Walt Disney World resort has an impressive pool in which to cool off on hot Florida days. 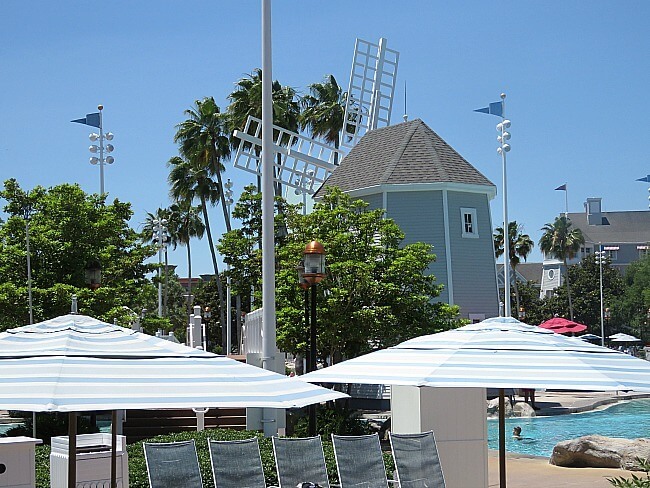 None compares to Stormalong Bay at Disney’s Yacht and Beach Club. First, the pool is massive. 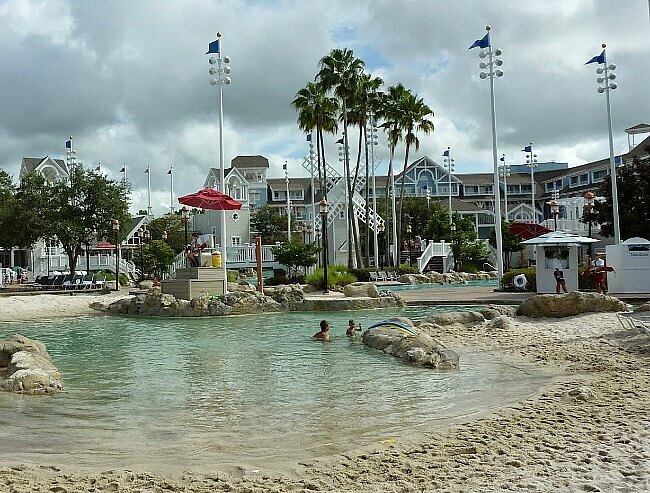 It is shared by the connected, but separate Yacht Club and Beach Club resorts. There is plenty of room to find a spot in the sun or in the shade. You can choose to lounge in a reclining chair or unfurl a towel on the sand beach. Secondly, Stormalong Bay has a sand bottom which feels extra nice on feet that are sore from walking in the parks. Kids love playing in the beach area. Kids and parents can build sand castles. The beach area allows zero access to water that is only 1-2 feet deep, perfect for children. Special features include a small lazy river and whirlpool/eddy in the actual pool. Tubes or noodles are supplied and allow you to drift peacefully. There is a bar/restaurant in the middle of the pool for a quick snack. 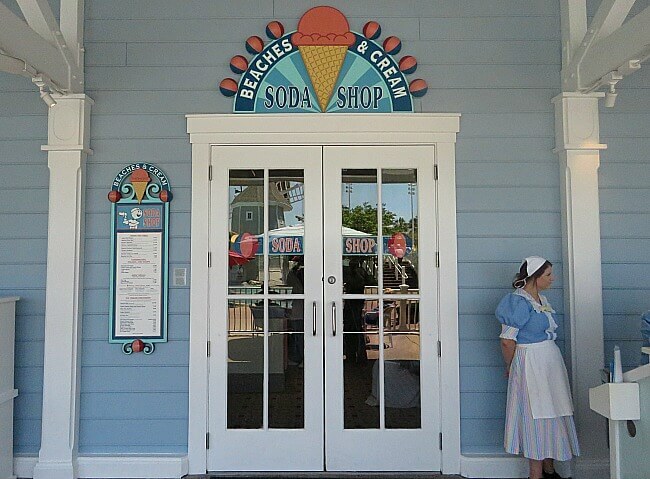 Better yet, is the Beaches & Cream Soda Shop; home of the Kitchen Sink! 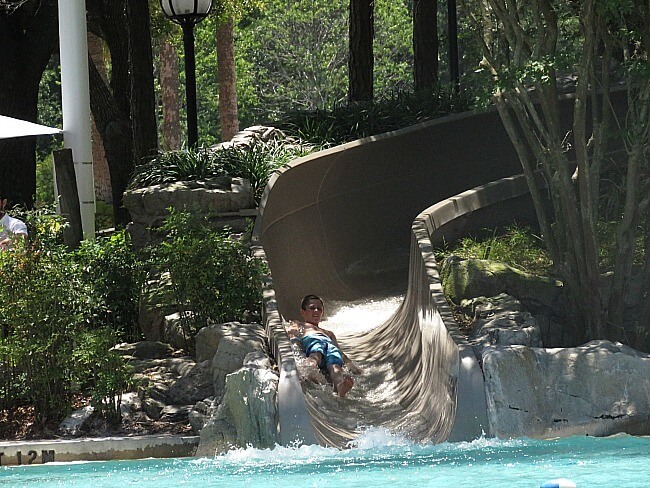 Saving the best for last, the Flying Jib water slide is the best WDW slide. 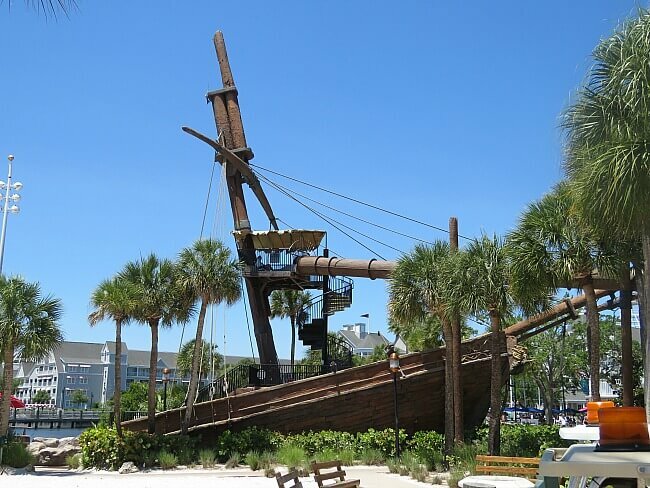 Beginning on the huge ship wreck links the pool to Crescent Lake, it is fast, long, twisty, and thrilling. A smaller slide is available for little ones. 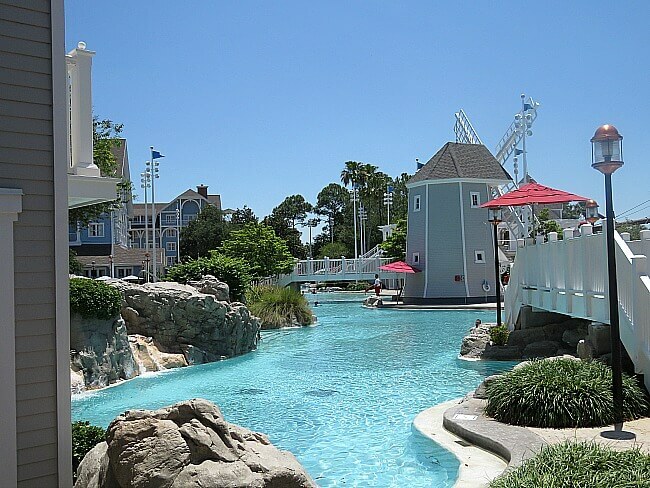 Only guests staying at either the Yacht or Beach Club resorts can use the pool. It is not open for pool hopping. 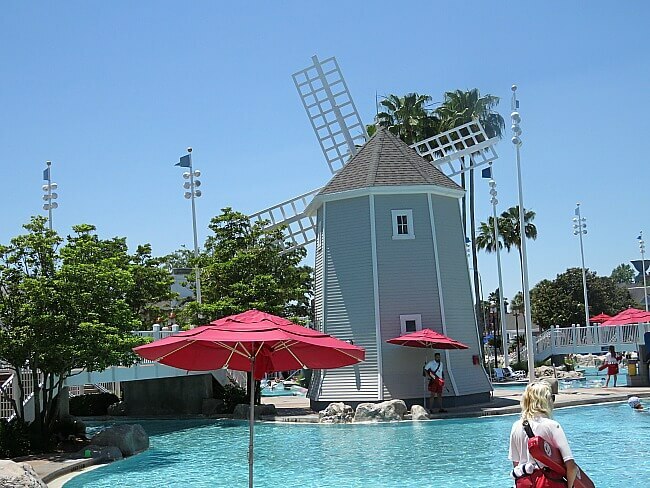 This is another reason that we love staying at the Beach Club; we have access to this pool. 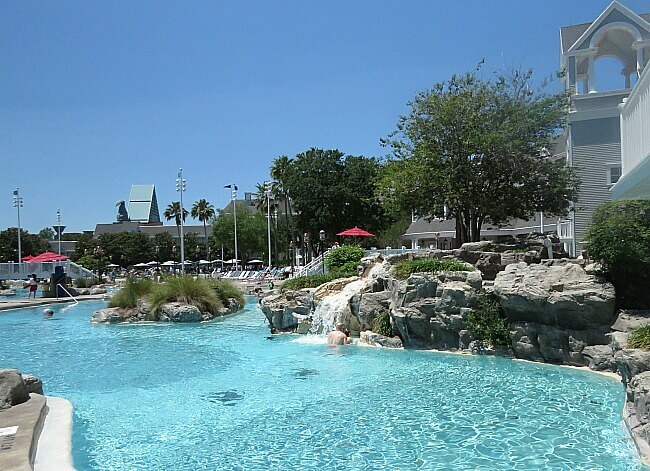 An escape from the central Florida heat is never a bad idea. If your family loves pool time then Stormalong Bay cannot be beat. It has everything and more that you could want in a pool.